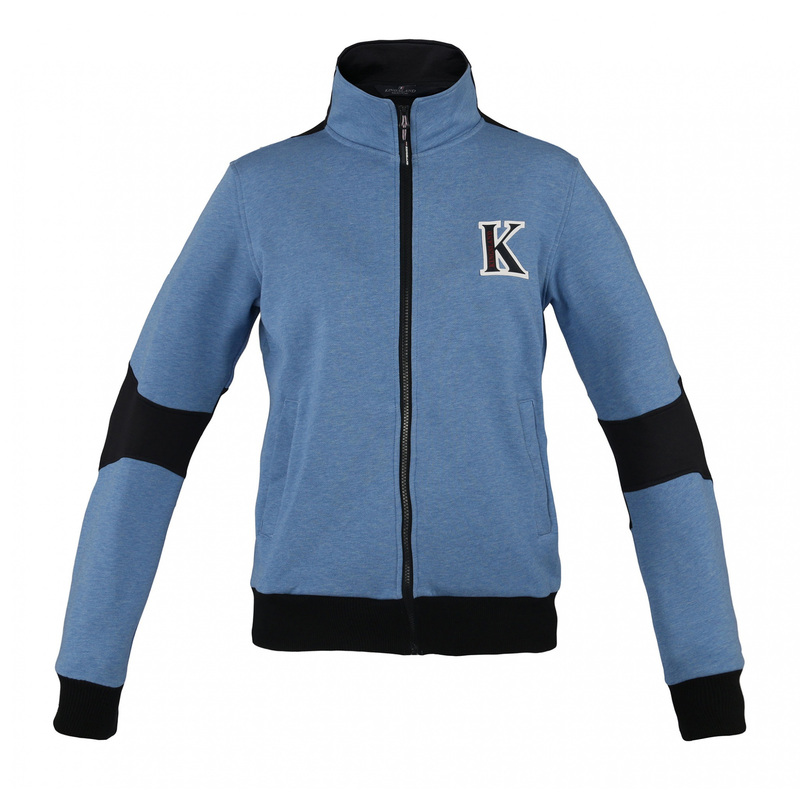 Unisex sweat jacket with zip and stand-up collar. It is made of pill-resistant jersey. 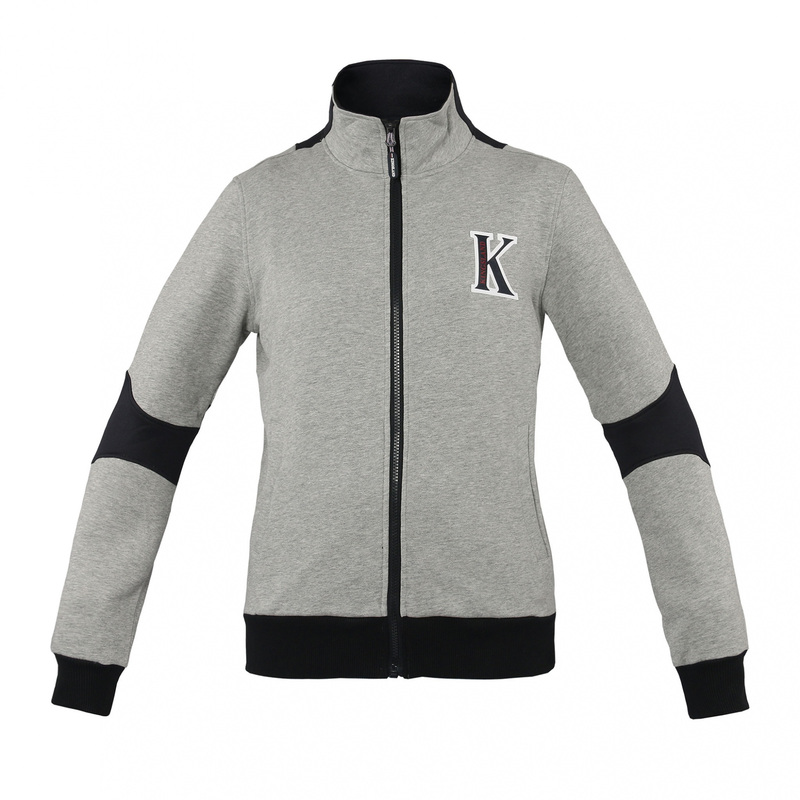 The jacket has contrasting inserts and elastic cuffs in sleeves. 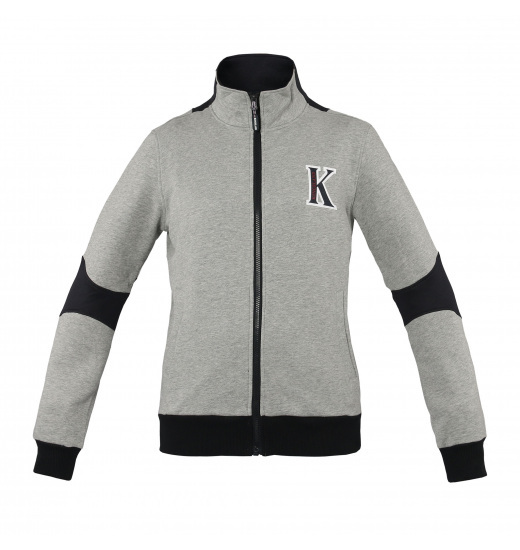 It also has two comfortable, zippered pockets. It is decorated with badge on the chest and big Kingsland emblem on the back.